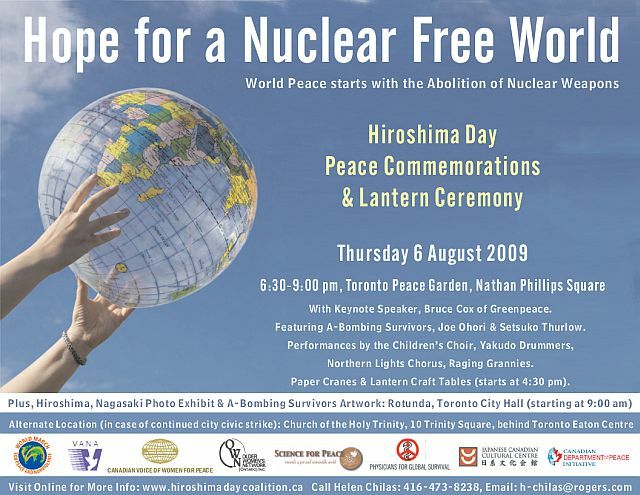 On this page we present images of our posters for the current and previous editions of the annual Hiroshima-Nagasaki commemorations in Toronto. Where there is additional material -- press packs, ancillary events, or other documentation -- we may also provide links. 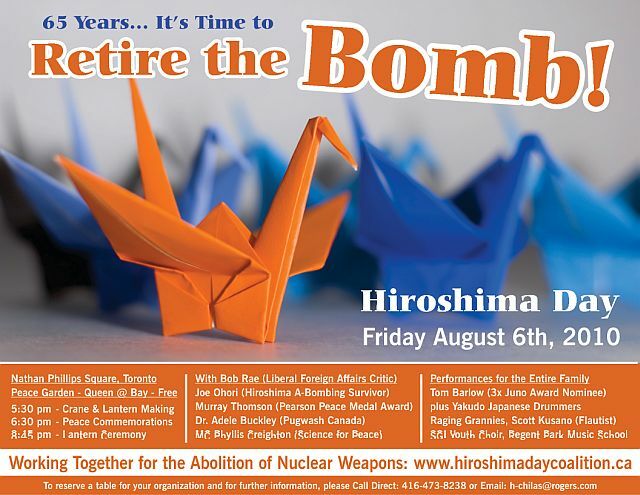 Humanity First: Ban the Bomb! 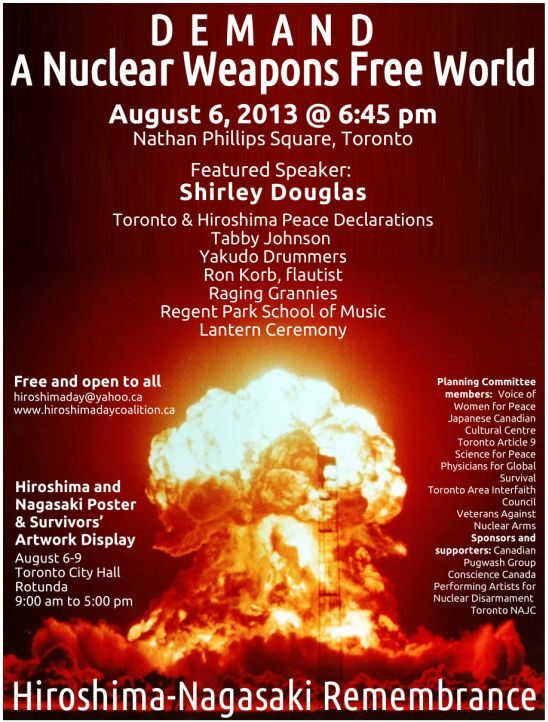 Keynote speaker: The Hon. Douglas Roche, O.C. 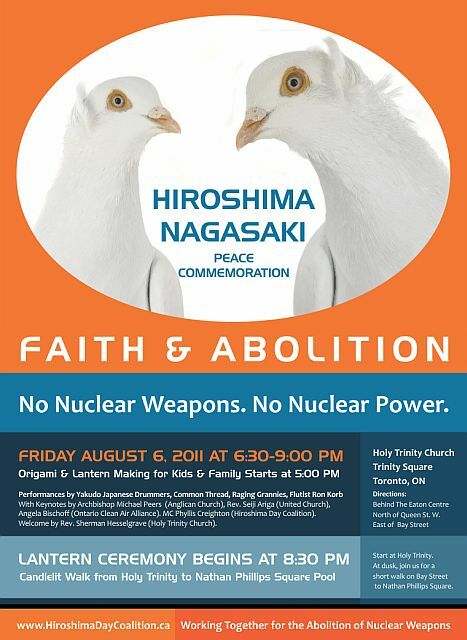 We CAN Abolish Nuclear Weapons! 11:48 am Mayor John Tory –Speech – 3 mins. 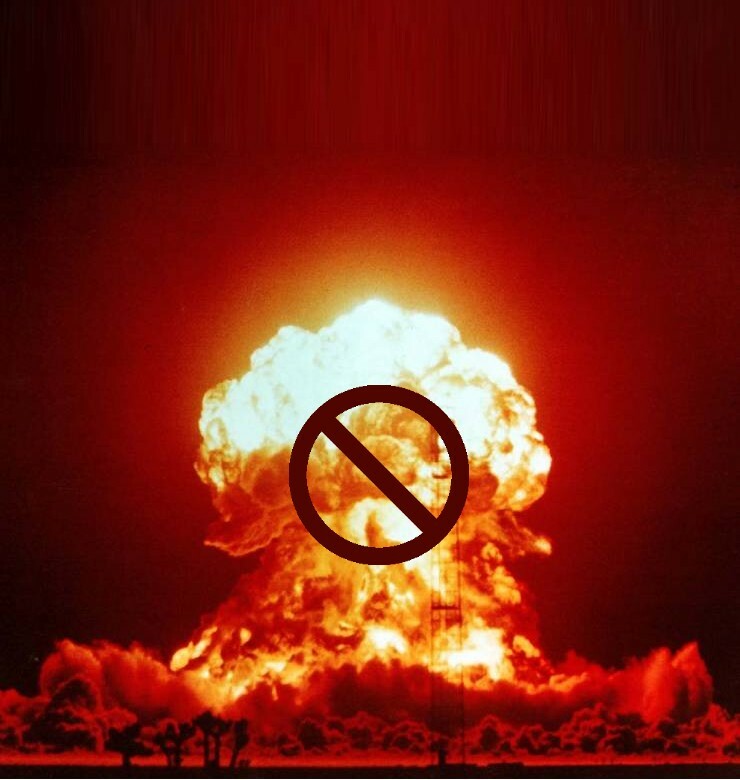 Are Americas Games a Nuclear Weapons Free Zone? 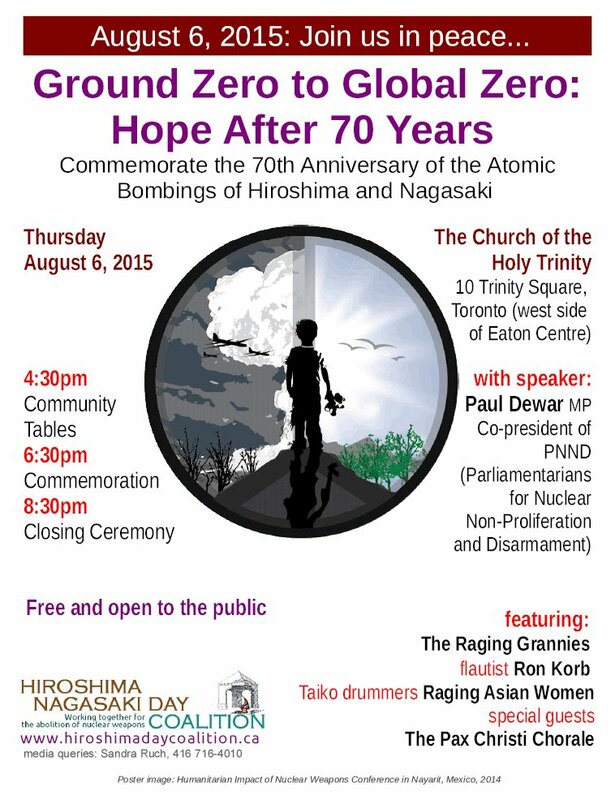 See summary of events in other communities here. 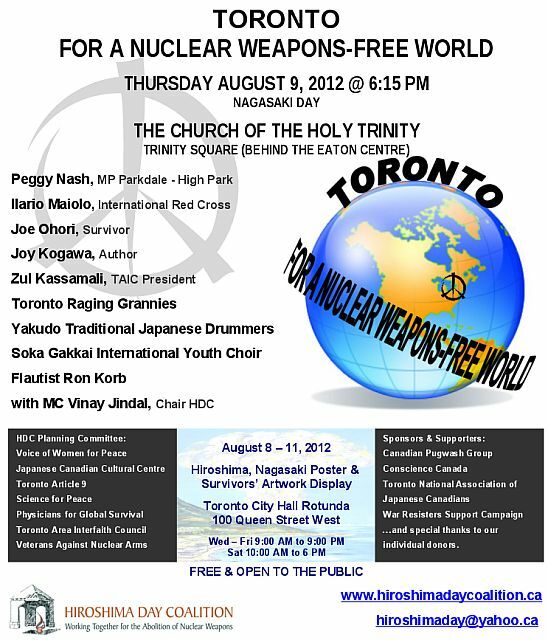 The HDC was a sponsor of the April 24, 2012 event "Chernobyl, Fukushima, Darlington and Beyond", organized by Veterans Against Nuclear Arms. 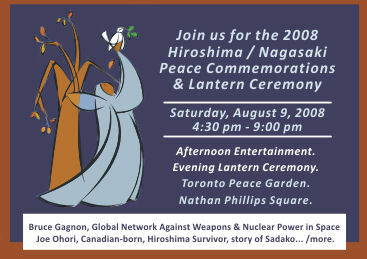 Other sponsors included Voice of Women and Science for Peace. See this link for text and audio of Angela Bischoff's keynote speech. 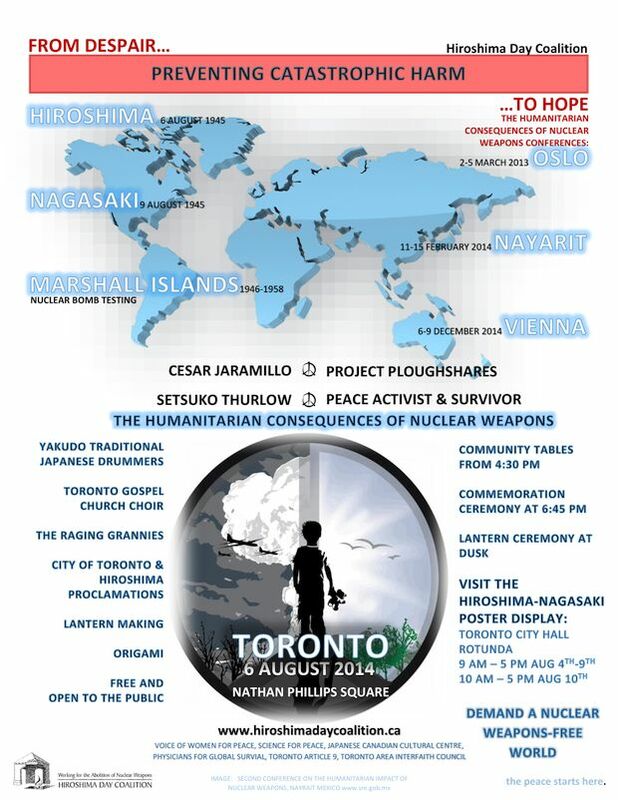 See main page for events during Hiroshima/Nagasaki week, August 2018.